Another eclectic lineup of authors is slated for this year’s San Antonio Book Festival, which is scheduled for 9 a.m.-5 p.m. April 6 at the Central Library, 600 Soledad St., and the neighboring Southwest School of Art. The 7th annual festival will feature some well-known national authors, such as Pulitzer Prize-winning journalist Rick Bragg (“The Best Cook in the World: Tales from My Momma’s Table”), novelist Tayari Jones (“An American Marriage”), young adult fiction author and Newbery Medal winner Meg Medina (“Merci Suárez Changes Gears”), Pulitzer Prize-winning author and The New Yorker staff writer Lawrence Wright (“God Save Texas:A Journey into the Soul of the Lone Star State”), and Pulitzer Prize-winning journalist and immigration rights advocate Jose Antonio Vargas (“Dear America: Notes of an Undocumented Citizen”). 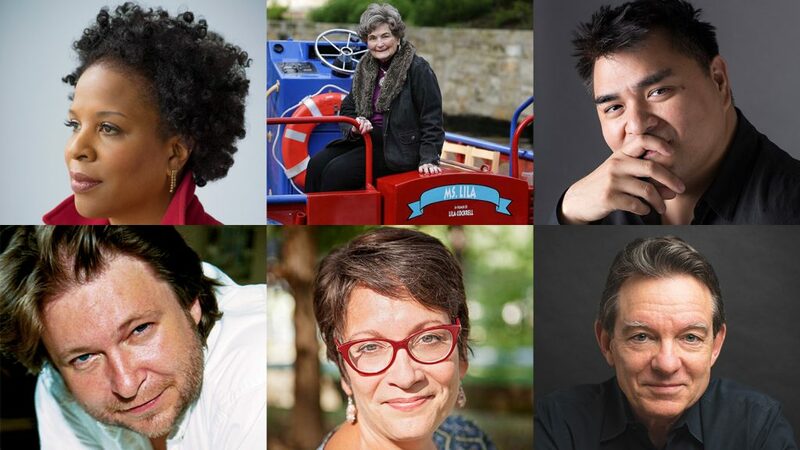 Notable local authors include former Mayor Lila Cockrell (“Love Deeper Than a River: My Life in San Antonio”), Bexar County Judge Nelson W. Wolff (“The Changing Face of San Antonio: An Insider’s View of an Emerging International City”), and Michael Cirlos, who’s “Humans of San Antonio” portrait collection was largely shot on downtown streets. More than 20,000 people are expected to attend the daylong series of panel discussions, book sales, autograph sessions, children’s activities and food trucks.